If you are striving to become a business owner but have minimal business experience, starting your venture from scratch can be risky. The Small Business Administration reported that 20% of small businesses fail in their first year, 30% fail in their second year, and close to 50% fail after five years. In addition, launching a startup business requires planning, marketing, legal fees, and capital, to name a few. One way to move forward with your entrepreneurial dream, and have a greater probability of succeeding, is to become a franchise owner. That’s because all of the work has been done, and you will benefit from ongoing operational support and marketing assistance. You just need to follow the proven formula and make your franchise a success. 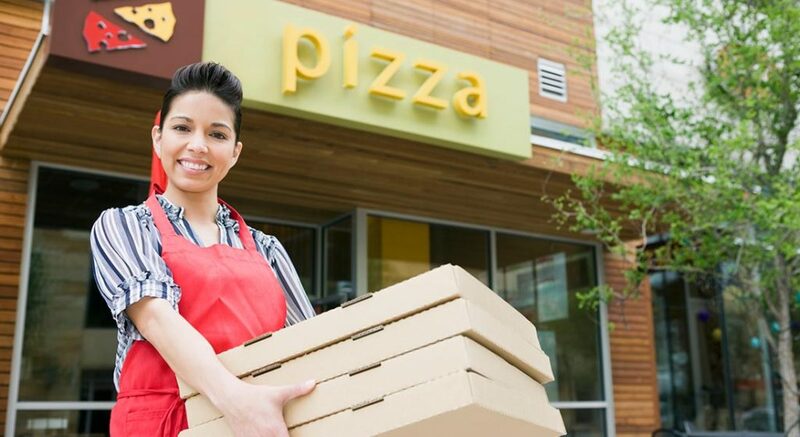 If you are thinking about becoming a franchise owner, this Balboa Capital blog article is for you. It lists five reasons to buy a business franchise. The classic advice of “location, location, location” might sound cliché, but it rings true in the business world. The location of a business can either help it become successful, or wind up attributing to its demise. If the location isn’t near a busy highway, or in an area with high foot traffic, potential customers won’t see it, and that means lost revenue. Franchise companies want their franchisees to succeed, so they are always on the lookout for new locations that can help maximize sales. By researching demographic information, competition, and population growth and income trends, they can select sites based on actual data. This eliminates the guesswork and helps you choose a location that has been deemed acceptable based on a number of different criteria. Once you have picked a location, signed the franchise agreement, and obtained financing for your franchise, it’s time to learn all about the franchisor’s expectations related to operations, customer service, employee training, and overall performance. You will acquire all of this knowledge during your initial training sessions that are conducted by your franchise company at their corporate office, or at a different training facility. The amount of time needed to complete your training will vary depending on your franchise. Make sure to keep all of the materials that are given to you during your training so you can reference them in the future. These include operations manuals, employee handbooks, and marketing guideline manuals, each of which is an extension of your franchise agreement. 3. Marketing and advertising assistance. Marketing a franchise in today’s ever-changing marketing world is not what it used to be. Traditional strategies such as television commercials, radio advertisements, and outdoor billboards are still part of the marketing mix, but they are now joined by a number of others. These include websites, custom apps, email marketing, social media marketing, public relations, and community events. All of this can be overwhelming and time-consuming, but you can expect to receive lots of marketing assistance from your franchisor. Your franchisor will market the brand on either a national or regional level, or perhaps both. Additionally, most franchise concepts provide their franchisees with pre-approved marketing materials, graphics, and promotional items. One thing to remember is that you will typically not be free to develop your own marketing and advertising materials, as your franchise has its own unique set of guidelines to maintain consistent brand messaging. The National Retail Association reported that franchises have a five-year survival rate of 80%, which is much higher than that of independent startups. The high success rate of franchises can be attributed to established business models, strong brand awareness, excellent support systems, and ongoing training programs. As a franchise owner, you will also find it easier to secure growth capital solutions such as franchise financing and franchise business loans. Reason being, banks and online lenders are more willing to lend to a franchisee who is part of a large and well-known franchise network that has a history of solid financial performance. However, owning a franchise is not a sure-fire script for financial success. You need to maintain the quality standards set forth by your parent company, and you need to hire managers and employees who share in your commitment to outstanding customer service. 5. Opportunity to own multiple locations. If your franchise is a big hit with the locals, and you have had a strong cash flow for an extended period of time, you might want to invest in additional locations. This isn’t uncommon. FranData reported that 53% of all franchises in the United States are owned by multi-unit owners. Leading the pack are the multi-unit owners of quick service restaurants (QSRs), who control 76% of QSR establishments according to Entrepreneur Magazine. Getting additional locations up and running can be relatively easy if you have the financial resources that are needed. Plus, you already have business relationships with equipment vendors, real estate professionals, and suppliers.